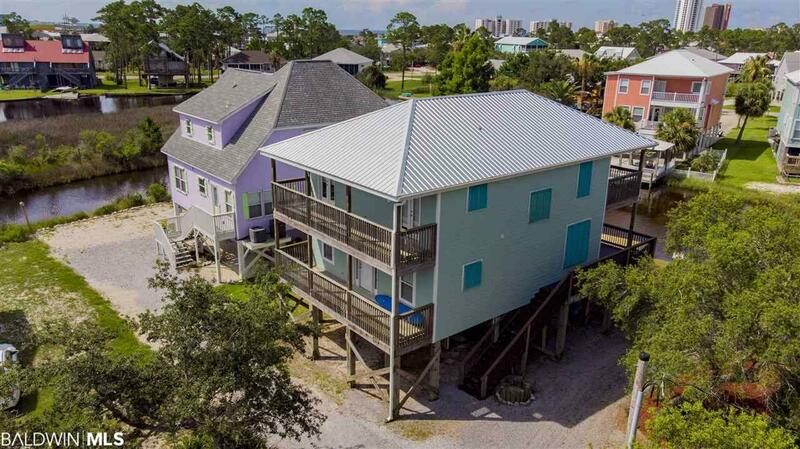 COMPLETELY REMODELED WATERFRONT HOME! The owner has just added a large center island in the kitchen, added beautiful granite in the kitchen and bathrooms, installed a brand new metal roof, painted the exterior and interior, added a custom interior staircase and installed a new dock on the deep canal just to name a few! 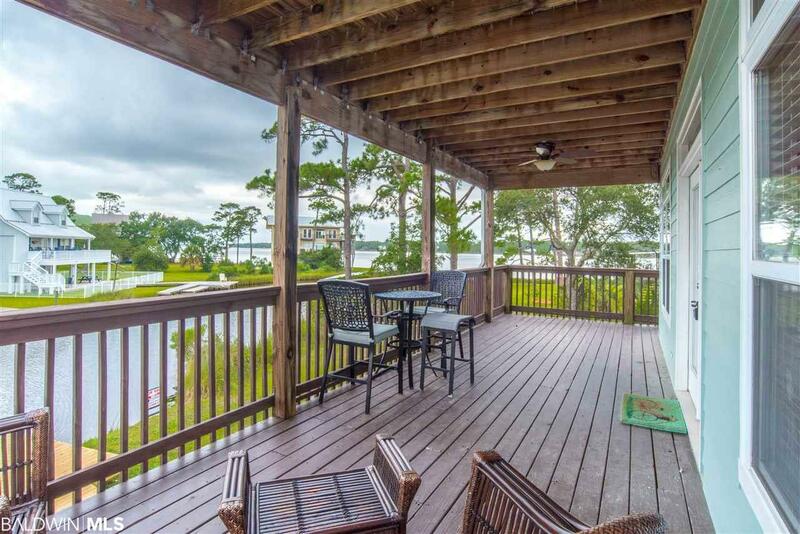 This is a spacious four bedroom, two and a half bath with an open kitchen and living area that leads to a waterfront deck with stunning Lagoon views - ideal for entertaining! Breathtaking views from all FOUR decks including amazing sunrises and sunsets from the deck off the master. 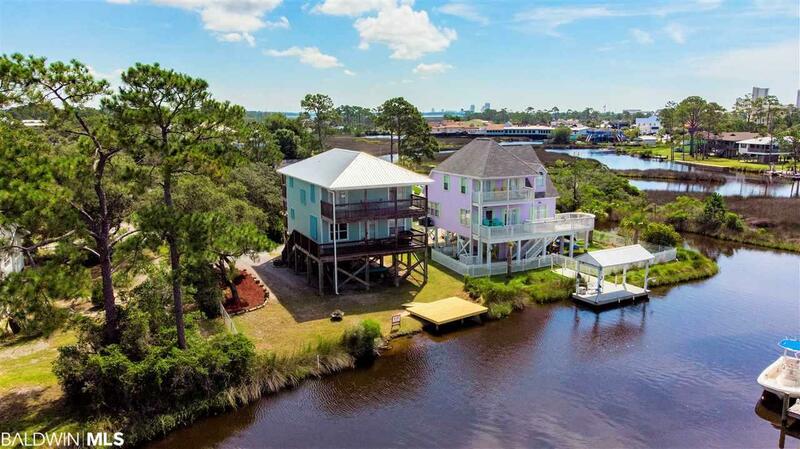 This home is at the mouth of a deep canal that leads out to Little Lagoon so you have great fishing in your back yard and have the ability to park your boat! 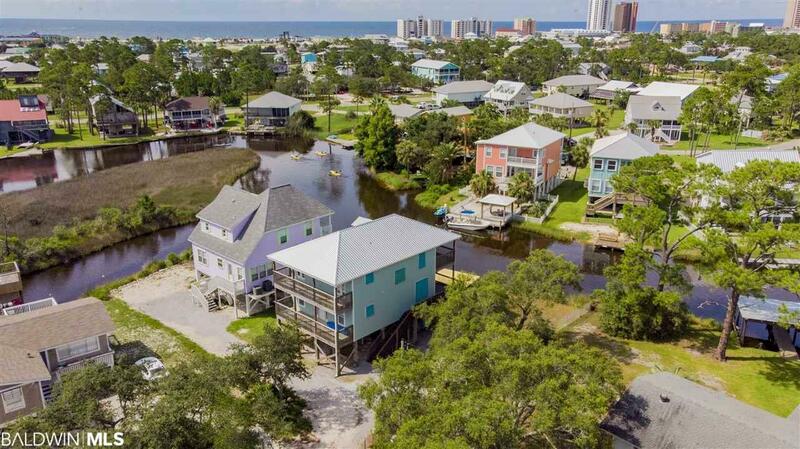 All of this is conveniently located about a mile from the beach, on a quiet dead-end street in the heart of Gulf Shores surrounded by shopping, restaurants and entertainment just minutes from your doorstep!